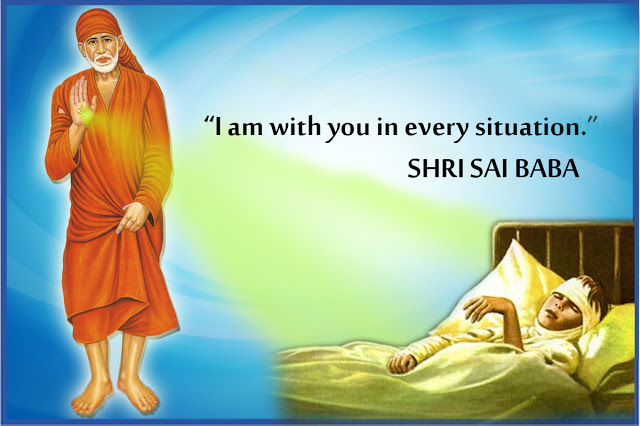 Your prayers to SHIRDI SAI BABA : Prayer List for Shirdi Sai Spiritual Group Prayers on Thursday after Dhoop Aarati – 18:30 hrs on 03rd November 2016. Prayer List for Shirdi Sai Spiritual Group Prayers on Thursday after Dhoop Aarati – 18:30 hrs on 03rd November 2016. When our prayers from all parts of the world focusing on a specific day & specific time (on ALL Thursdays at 18:30 hrs after Dhoop Aarati) with a single object and total concentration on praying for others, with our noble intention of getting help from Shri Sai Baba for those known and unknown to us, praying selflessly for the benefit of all global Sai families, certainly this divine vibrations from all participating devotees all over the world energize and elevate our subconscious mind with powerful spiritual vibrations, that our group prayers shall have the capability to release divine guidance, divine protection, averts disaster, very powerful divine impact and more importantly all participants witness powerful answers to our prayers. All prayer requests received from online, Whatsapp, Prayer Request Drop Box at Mandir up to Madhyan AArati will be placed under Baba's Lotus Feet, after Dhoop Aarati all devotees present at Mandir will pray for you. We request Sai devotees all over the world to pray for our Sai Brothers and Sisters and ask Shirdi Sai Baba to accomplish all their wishes and desires as soon as possible. Om Sai Sri Sai Jaya Jaya Sai. I pray for a little peace and YOUR GRACE for a justice, BABA. Four years passed by. All pervasive YOU,know all, before I ask or write to you. Being 'Father' of a fatherless and brother less child of YOURS, Have MERCY on me, BABA. If YOU are not for the poor and helpless, then where will the poor go BABA ! All pervasive YOU, know all our helplessness and difficulties . Will not there be a justice for the fatherless and brother less child of YOURS for all the injustices done to her regarding marriage since September,2016 !!! You understand and know my difficulties even before I ask. Please help with a miracle to resolve the financial burden now. We have a had a struggle for years and without improvement. Baba, only you can provide that miracle now for supernatural finances. Since I was retrenched in my previous job in April 2013,, I have been praying & applying for many Procurement Management positions and without success. Baba, please bless me with a good job now. with faith, I leave this struggle in your hands. UNIVERSAL PRAYER – May Everybody Be Happy !!! Develop a tremendous faith in God and that will give you a humble yet soundly realistic faith in yourself. FAITH is the “eternal elixir” which gives life, power, and action to the impulse of thought! FAITH is the basis of all “miracles,” and all mysteries which cannot be analyzed by the rules of science! FAITH is the element, the “chemical” which, when mixed with prayer, gives one direct communication with Infinite Intelligence. Nobody can be you as efficiently as you can. Everything passes away except God. Talk peaceful to be peaceful. You can receive guidance in problems if prayer is allowed to permeate your subconscious, the seat of the forces which determines whether you take right or wrong actions. Prayer has the power to keep your reactions correct and sound. Prayer driven deeply into your subconscious can remake you. It releases and keeps power flowing freely. Prayer power is a manifestation of energy. Just as there exist scientific techniques for the release of atomic energy, so are there scientific procedures for the release of spiritual energy through the mechanism of prayer. Strongly believe that prayer is a sending out of vibrations from one person to another and to God. All of the universe is in vibration. There are vibrations in the molecules of a table. The air is filled with vibrations. The reaction between human beings is also in vibrations. When you send out a prayer for another person, you employ the force inherent in a spiritual universe. You transport from yourself to the other person a sense of love, helpfulness, support - a sympathetic, powerful understanding - and in the process you awaken vibrations in the universe through which God brings to pass the good objectives prayed for. The blog is publishing the prayer request without editing. We are not responsible for the contents.. Watermark theme. Powered by Blogger.